So Christmas is nearly upon us and throughout this time of the year I love to immerse myself in a few festive reads. I feel like reading christmassy books just helps me get into the spirit of the season and makes me feel all warm and fuzzy inside. So, I thought I'd share with you a few of my favourite Christmas reads that I've read this year and in previous years. 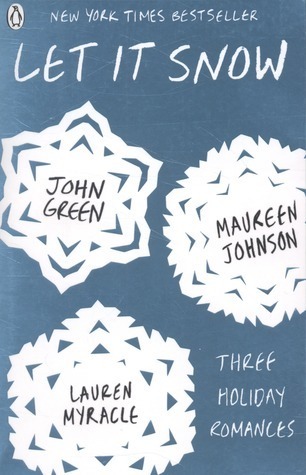 Let it Snow is a series of three short stories written by three well known Young Adult writers - John Green, Maureen Johnson and Lauren Myracle. What I love about this is that all three stories are intertwined with one another, although you don't find that out until later on. A storm on Christmas Eve buries the residents of Gracetown under many feet of snow, and starts to cause a lot of chaos. One girl ventures into the snow from her abandoned train and sets of a chain of events that will change the lives of many. Over three days this girl takes a risk with an adorable, likeable stranger, three friends set out to win a race to the Wafflehouse and the fate of a teacup pig rests in the hands of a lovestruck barista. Let it Snow made me feel so very festive and I loved how all the stories ended up as one. It brought all the magic of the christmas season to life with added happiness, love, romance and festivities. 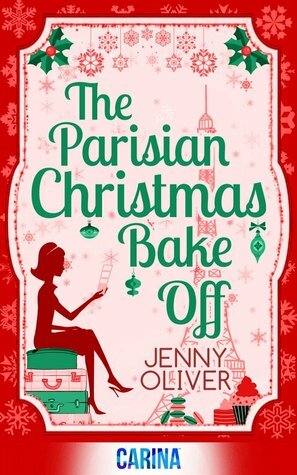 I love a bit of chick lit at Christmas and The Parisian Christmas Bake off was a perfect chick lit festive read. Paris meets The Great British Bake Off in this stunning book, set in one of the world's most beautiful cities. Rachel Smithsons English Village seems a million miles away, as she's in Paris to take part in a search for Paris' next patisserie apprentice under the eye of famous chef Henri Salernes, who is known for his tough and confidence shattering approach. Despite this, Rachel is determined not to let her confidence falter, as she only has a week of tough competition to prove she is a star baker. There's also a touch of Christmas magic in the air, as despite vowing not to be looking for a romance, Rachel may have found one. First of all, this story is set in Paris and that in itself makes it an amazing read and secondly its set in Paris at Christmastime, which of course makes it a thousand times better. This book is a perfect christmas treat, and throughout reading I found myself salivating at the descriptions of all the treats the bakers were making. 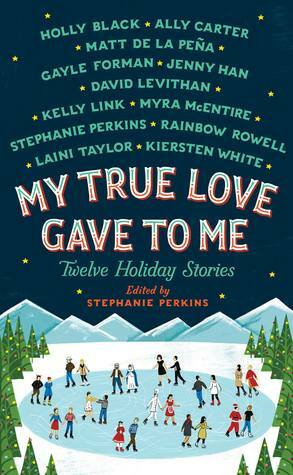 My True Love Gave to Me is an anthology of twelve short stories all by well known YA authors and is edited by Stephanie Perkins (who wrote Anna & The French Kiss). All twelve stories are holiday themed, and unlike Let It Snow, none of the stories are intertwined. I won't go into too much detail about all twelve stories but all I am going to say is that each story is different and themed around a different part of the holiday season. There is a story for everyone in this book whether you celebrate Christmas, Winter Solstice, Hanukkah, New Years etc. I did enjoy some stories more than others, but that is what is to be expected from an anthology of short stories as big as this one. 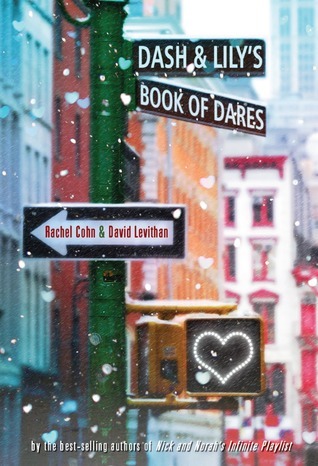 Dash and Lily's Book of Dares is a fun story set in the heart of New York during the festive season. To cure her boredom over the festive season, Lily leaves a red notebook full of dares on a shelve in her favourite bookstore, and waits for the right person to come along and take it. Is Dash that right person? Are they only destined to swap dares, dreams and desires in the notebook that they trade back and forth or is there more to happen between these two? Can their real life selves connect as well? This is a really cute, fun festive young adult love story. I also love the setting for the story. New York is known as a great place to be at Christmastime and by reading this it made me just want to visit it and enjoy all its wonders this time of the year. It was also brilliant to experience two writing styles in one book, I'd already read a few of David Levithan's books so knew his style well, but it was great to experience a new author in Rachel Cohn. This is my most recent festive read and it was recommended that I read this. I was a bit sceptical at first after reading the blurb, but I went in with an open mind, I may well enjoy it. 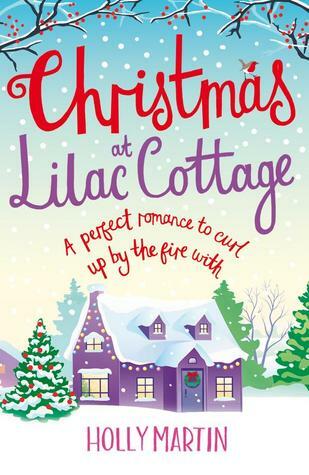 Penny loves her home in the village of White Cliff Bay - a lilac cottage decorated with sparkling lights, and great views over the village. She loves her job as an Ice Sculpter, but lacks a certain social life. So when Henry and his daughter Daisy arrive to rent her annex, Penny is overjoyed at the thought of company. As Penny gets to know Henry, she discovers there's more to him than meets the eye, and soon finds herself falling for him in a big way. With the upcoming Christmas Eve ball and the spirit of the season, is Penny about to receive the Christmas she has been longing for? Although I did enjoy this book, and I loved hearing about White Cliff Bay and it's residents, I did have a few minor problems with it. I hated how fast the romance between Henry and Penny moved, I love a slow burning romance in books and I hated how quick this one was. Saying they loved each other after not even knowing each other a week didn't really cut it for me and didn't seem realistic. I would've loved to have had them get to know each other more and go on more dates. However, apart from that I had a great time reading it. It's not my favourite festive read, but it's one that I would certainly read again with an open mind. Dream a Little Christmas Dream is a novella, taking part after the events of Dream a Little Dream. 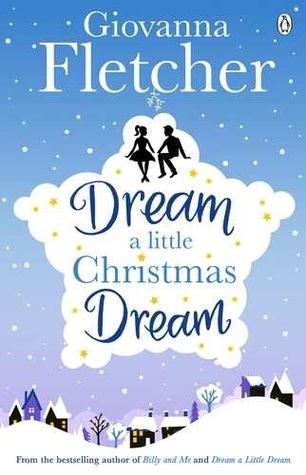 I absolutely adored Dream a Little Christmas Dream, so I was dying to read this as soon as I preordered it. I couldn't wait to hear more about Sarah, Brett and their friends. Although her dreams are still crazy, Sarah's real life is certainly back on track. She's got a great boyfriend, amazing job and awesome friends. However, after a night of strange dreams Sarah wakes up to her housemate announcing that she's moving out, and later Brett starts acting strangely. Is he hiding something? Beginning to think she's living in a festive nightmare, will any of Sarah's dreams come true? Although this was a short read, it was so heartwarming and I found myself smiling to myself throughout. Giovanna certainly knows how to bring her characters to life, and I think I fell in love with them even more. The ending of the novella brought me to tears and I can honestly say it made me feel so warm and festive inside. So there you go, just a few of my favourite festive reads. I hope you all go and check at least one of them out.